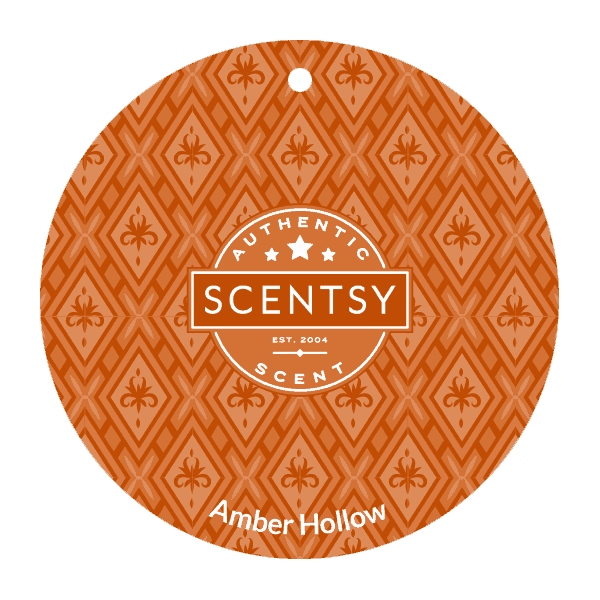 Amber Hollow Scent Circle is Clove leaf, cardamom and dark amber spice up a warm cedarwood base. Add a burst of Scentsy fragrance wherever you go. Scent Circles provide the most cost-effective option for anyone who wants to stock up on several portable fragrances.